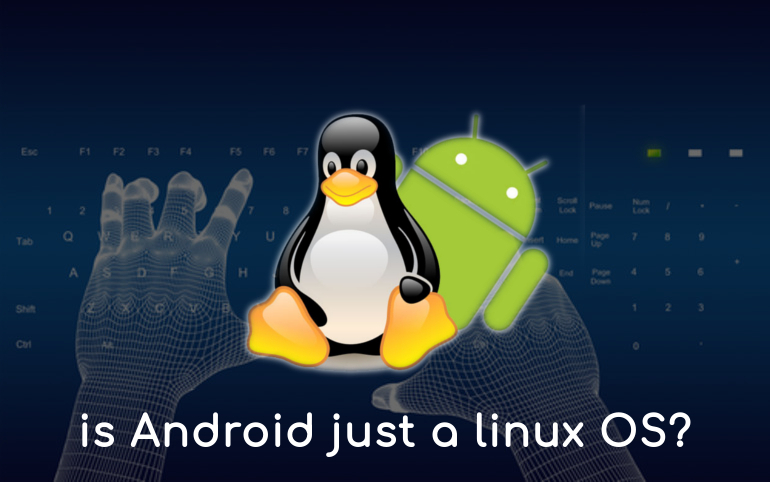 Is Android a linux operating system? Android is everywhere. According to recent reports Android is poised to claim the crown from Micosoft's Windows in OS market. Android has been the best-selling OS worldwide on smartphones since 2011 and on tablets since 2013. As of May 2017, it has over two billion monthly active users, the largest installed base of any operating system, and as of December 2018, the Google Play store features over 2.6 million apps. Many of you know that Android is actually based on Linux kernel for mobile devices. But it's not based on the type of Linux system you may have used on your PC. So, is that Linux OS? At its most basic, Linux means the Linux kernel, the core part of any operating system. Android integrates Linux kernel at the bottom of its software stack. But, Google hasn't added all the typical software and libraries you'd find on a Linux distributions. This makes all the difference. Every Android smartphone or tablet contains a Linux kernel. Even you can see what version of the kernel is installed on your device, by opening its Settings then navigating to About Device > Software info. However, Android isn't just the Linux kernel - it's a fully-functioning operating system that features lots of additional libraries, a GUI, apps and much more, so when we ask "is Android Linux", we're actually asking "is Android a Linux distribution?" Linux distributions aren't just the Linux kernel. They contain many other pieces of software, such as the GNU shell utilities, Xorg graphical server, Desktop Environment, Firefox web browser, and so on. That's why some people think the term GNU/Linux should be used for Linux distributions like Ubuntu, Mint, Debian, Fedora, Arch, Manjaro, openSUSE, and others. In case of Android, it uses the Linux kernel under the hood, because Linux is open-source, Google's Android developers could modify the Linux kernel to fit their needs. Linux gives the Android developers a pre-built, already maintained operating system kernel to start with so they don't have to write their own kernel. Google hasn’t added all the typical software and libraries you’d find on a Linux distribution like Ubuntu. Android apps require Android-specific libraries, a runtime, plus a range of other software that’s found only in the Android OS, so by default you cannot run Android apps on any platform other than Android. Initially developed by Android Inc., Android was unveiled in 2007, which Google bought in 2005. The first commercial Android device launched in September 2008. The core Android source code is known as Android Open Source Project (AOSP), and is primarily licensed under the Apache License. There are a number of reasons for selecting Linux kernel. Linux Kernel boasts some proven core features that are integrated in Android operating system. Because of the presence of Linux kernel we can't call Android as a Linux distro. Since it’s impossible to even estimate how many Linux distros are out there, it’s very difficult to put together a list of rules about what makes an operating system a Linux distro. Android team made a number of changes to the Linux kernel, including the addition of specialized libraries, APIs and tools that are mostly BSD-derived or written from scratch, specifically for Android. However, if your definition of an operating system as Linux just because of the Linux kernel, then Android is a Linux distro. But, it may be an unusual, highly-specialized distro, it's every bit as much a distro as Ubuntu, Fedora, and any other operating system that's based on the Linux kernel.